Whether on the personal or corporate level, managing risk and maintaining compliance are fundamentally important in our ever-evolving society. However, navigating the details and creating a personalized plan can be a complicated process. 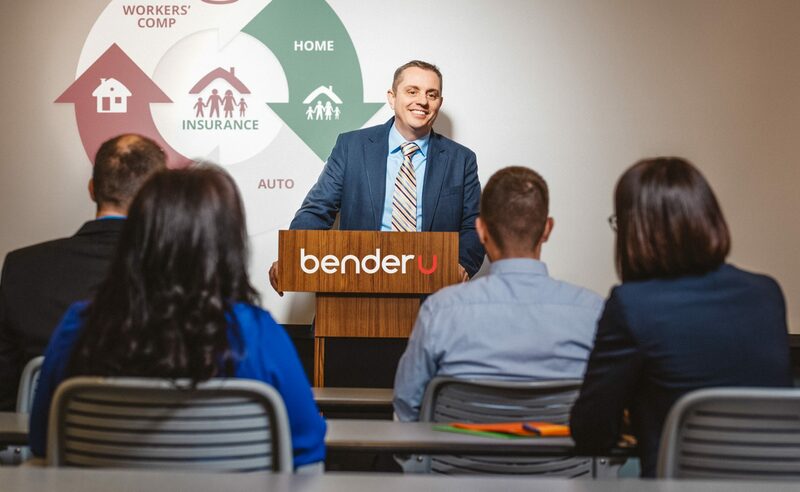 To help you make informed choices, we are proud to offer BenderU: a company-sponsored series of seminars designed to educate you on the issues that matter to you, your family, and your business. For more than ten years, BenderU has helped our clients navigate the complex landscape of risk management. From agriculture to the Affordable Care Act, from employee benefits to OSHA, we offer live training in a casual setting, to help you address the thorny problems that apply to your specific situation. Best of all, BenderU is completely free. We offer it as a complimentary service, not only because “Education” is a cornerstone of our mission statement but also because we simply believe it’s the right thing to do. 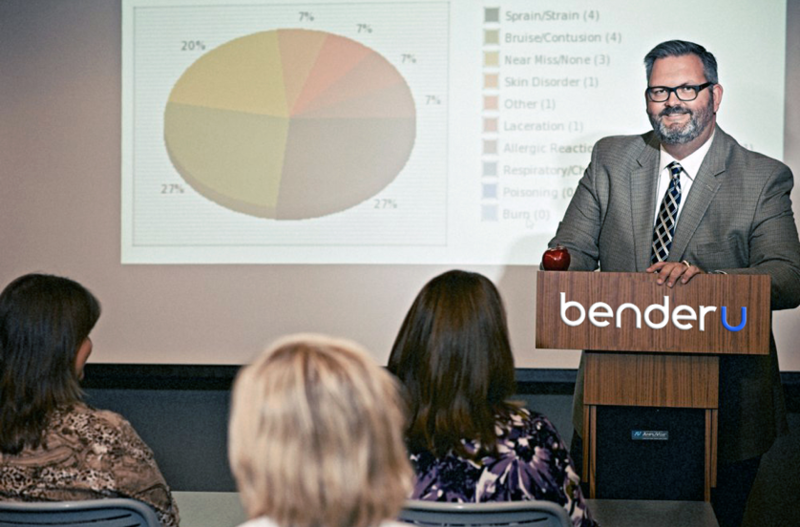 A key aspect of our Mission Statement at Bender Insurance Solutions is to educate our clients. For over 10 years Bender Insurance Solutions has been committed to educating our clients with our Eggs & Issues seminars. These seminars have covered vast topics from defensive driving skills to sexual harassment / discrimination seminars. Out of these seminars has grown BenderU. Through BenderU, we strive to provide seminars that bring value to our clients that enrich their risk management programs, while making the complicated understandable. Below is a list of upcoming BenderU seminars. Don’t see something of interest? Please let us know what you would like to see in a future classes by contacting us. Founded in 1899, A.M. Best Company is a full-service credit rating organization dedicated to serving the financial services industries, including the banking and insurance sectors. The California Department of Insurance is responsible for enforcing many of the insurance-related laws of the state. We are foremost a consumer protection agency. Our number one priority is to protect insurance consumers by regulating the industry’s practices and encouraging a healthy marketplace, which is one of the largest in the world. The California Department of Motor Vehicles (DMV) is the state agency responsible for the registration of motor vehicles and boats and the issuance of driver’s licenses in the U.S. state of California. Since 1926, Kelley Blue Book, The Trusted Resource®, has provided vehicle buyers and sellers with the new and used vehicle information they need to accomplish their goals with confidence. The Contractors State License Board (CSLB) protects consumers by licensing and regulating California’s construction industry. There are more than 310,000 licensed contractors in the state, in 43 different licensing classifications. The Department of Industrial Relations was established to improve working conditions for California’s wage earners, and to advance opportunities for profitable employment in California. The Workers’ Compensation Insurance Rating Bureau of California (WCIRB) is a California unincorporated, nonprofit association comprised of all companies licensed to transact workers’ compensation insurance in California, and has over 400 member companies.